µFinance is a generalised loan and payment management system. It is designed to be customisable for administrators but very efficient and easy to use for day to day operations with customisable roles for extra security and ease of use. Customisation, the system allows the administrator to setup their own users, customer groups, journal groups, journals, payment types and select which interest calculations are available to the loan managers. This extends to include a mail template and task manager so the system can dynamically generate emails according to the customer’s requirements using their own letterhead and layout. These emails can be run when certain actions are performed, e.g. a loan is finalised or at a specific time, e.g. when a loan repayment is 5 days overdue. Customer management, the system can store all the details about the customer as well as lock them into loan groups for easy management and data privacy. There is also a document management and user reports tied to each user. Loan management, the core function of the system is to track and manage loans and their repayments. When creating a loan there is a very powerful interface to setup repayment rules, interest types, due dates as well as corresponding payments, referred to as intermediary payments. 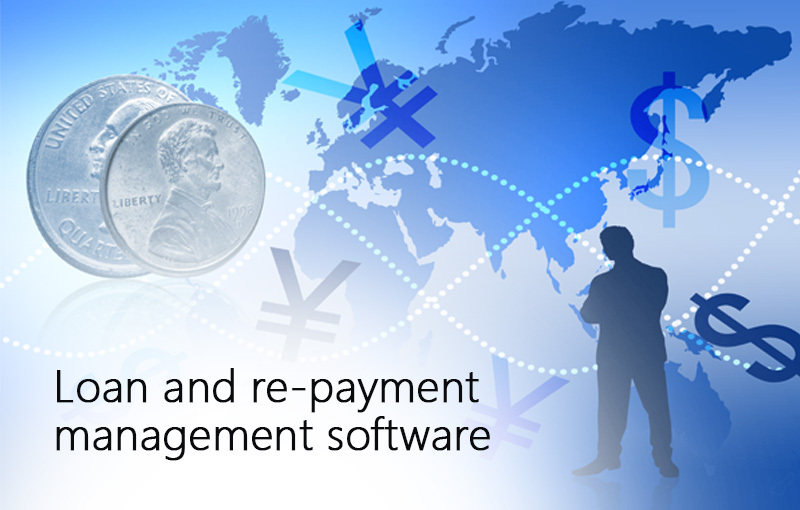 An intermediary payment is optional but recommended for reconciliation and trial balance generation. It is basically the contra of where and when the principle is paid out to. After the loan has been setup the system will generate the payment schedule and statement for the customer. The user can then capture any payments, journal adjustments, extra documentation as well as perform restructures, payouts and splits on the loan. All this is done from a role based interface to limit certain users to certain tasks and require authorisation before finalizing etc. On top of the role management the system also logs and makes notes on all actions performed and by which user. Loans can also be edited and every calculation overwritten by an administrator, while this is very rarely needed it does give the system the flexibility to deal with any fringe cases that may arise. Payment management, the payment capturing system allows for single payments, automatic splitting of incoming funds to cover multiple lines without one loan as well as single payments being allocated to multiple loans. On top of this there is also the option to bulk import payments from a bank reconciliation file as well as keep track of all associated bank accounts. Interest Settlement, the system manages interest in its own account and allows the user to quickly and easily settle interest earned out of the main bank account if required. Summary, the system allows for quick and easy data summaries. It can show money due, money owing, interest earned etc. all grouped by customer and intermediary for easy payment management. Reporting, as well as having built in reports for customer summary, system summary, transaction summary, overdue payments etc. The system will also generate a trial balance to ensure all calculations have been recorded correctly and balance. On top of this there is also a very powerful report generator that lets the user design their own reports and save them for later, as pdf, email or excel. µFinance is a system that can meet the needs of any size loan management company. It is simple and quick to use but if all the extra tools are employed then has very robust checks and balances to ensure the data is correct and timely. Automation is key to running the system effectively but is still entirely customisable so it can fit the way the user wants it to work rather than forcing it to a certain way.